Venture into a seawater pool for the Dolphin Encounter Cabo Dolphins Tour. Taking place in shallow waters, this Los Cabos activity is the perfect way for families and non-swimmers to enjoy close contact with these enchanting ocean creatures. 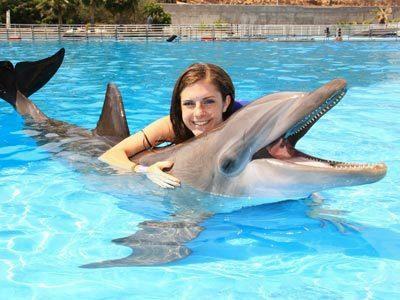 Discover the intelligence and charm of the dolphins while you play with them and watch as they follow your hand signals. You’ll even get to enjoy sweet kisses and feed them a treat! Life jackets are required for this activity.